Mr. Rishidev Bhargav .N studied in Arsha Gurukul Mahavidyalaya, Khanpur, Hariyana and got Vyakarana Acharya Degree in Panini grammar. He is expert in Prachya-vyakarana, particularly in Kaashikaa & Mahaabhaashyam. He has also M.A. in Alankara Shastra and P.G. Diploma in Manuscriptlogy from University of Mysore. He has Completed M.Phil in “Karakaprakaranam Ekam Adhyayanam” from S.V.University, Tirupati. He worked as assistant researcher for 6 six years on ‘Ganakashtadhyayi’ – a software developed by Dr.Shivamurthy Shivacharya Swamiji on Panini-sutras. He successfully completed three research projects on Laghusiddhantakaumudi, Siddhantakaumudi and Kaashikaa). His special interest in spreading Panini grammar in aarshakrama. Currently he is pursuing Ph.D on “Shiksha Shastram Ekam Samshodhanam”. (a systemic study on ancient Indian phonetics.) from University of Mysore. He has published several research papers on Sanskrit Grammar and delivered special lectures on importance of Panini grammar. 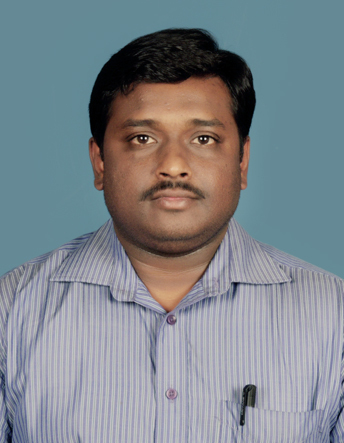 Presently he is working as Assistant Professor in Shastra Faculty of Karnataka Samskrit University, Bangalore.